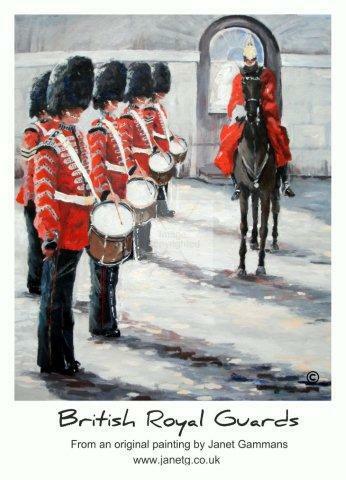 'British Royal Guards' is personally signed by 'the artist'. Poster size A2. Price £13 + £1.95 post and packaging. It will be sent to you rolled in a wide thick protective card container.